I just have to show everyone how talented my man is. He made this really cute shelf for outside of our shower. 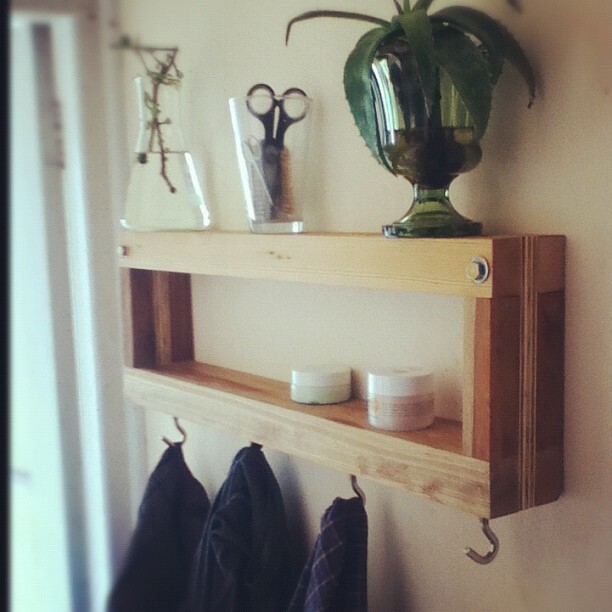 He used bits of old wood from a building site, got them planed, screwed them together, oiled it, put in a few hooks and secured it to the wall. So clever! I can't wait to go home and use it. You can check his artwork and music here. Also, how sweet that he "set the scene" with my succulents, creams and some clothes!